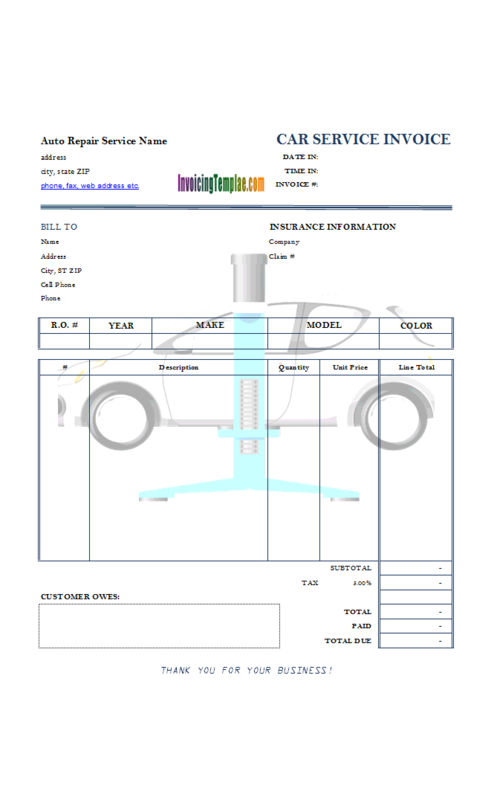 Auto Repair Invoice Template (2) is a sample on customizing Auto Repair Invoice Template (1). This sample adds a drop-down list box to the original design, allowing to select car model from a list, instead of typing in manually. 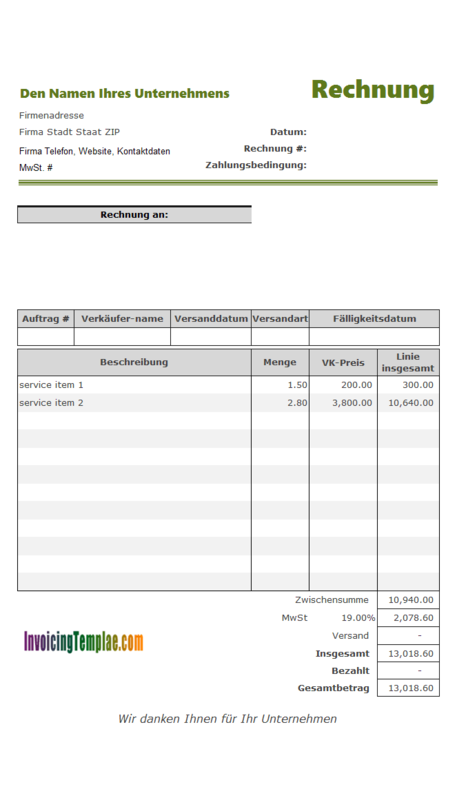 c5049 now includes the customized invoice template for the latest version of Invoice Manager for Excel. This is what you will see when you open autorepair2.xlsx. In the original format design, the "model" field is a simple Excel cell, or we can call it a text box, which allows you to enter the model manually. While the freely editable field makes it possible to enter any value into it, a drop-down box makes entering car model much easier and avoids typo errors. 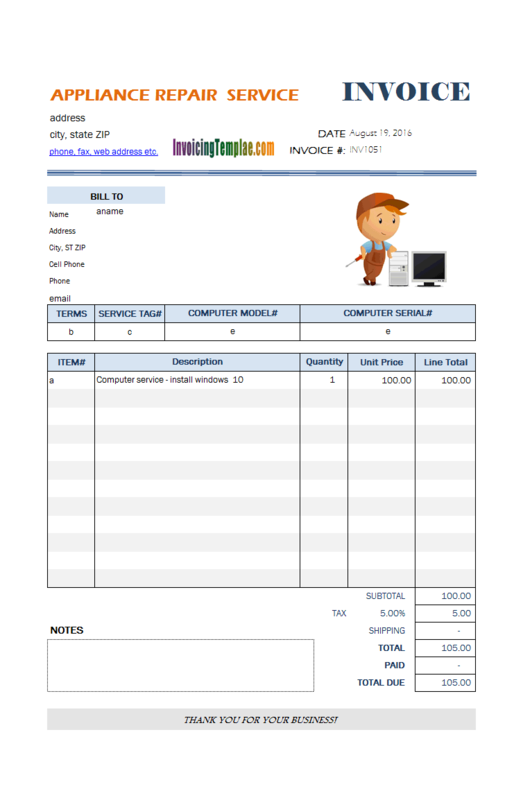 There are other sample formats online too, such as Word, HTML or PDF, but Excel is our favorite here at InvoicingTemplate.com. 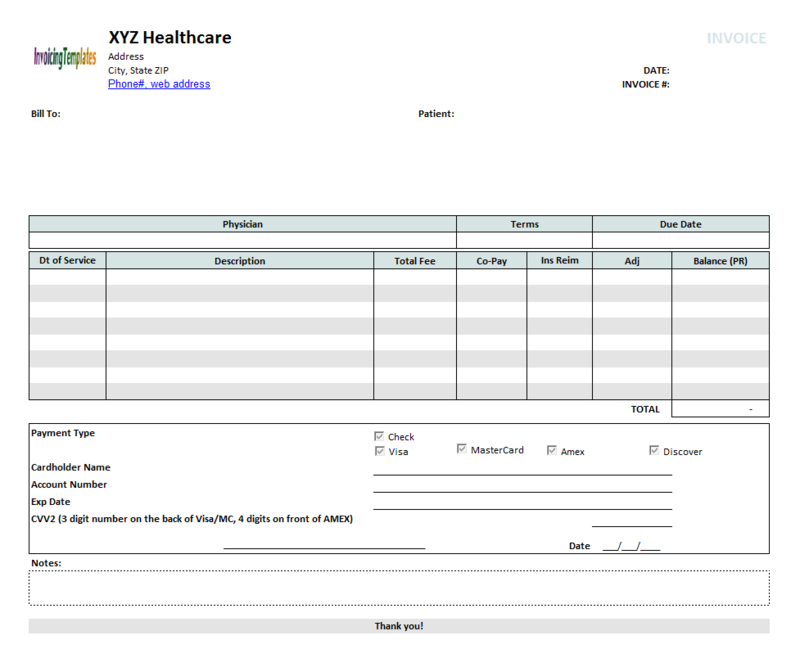 The auto invoicing example given here demonstrating just one advantage of using Microsoft Excel based form designs. 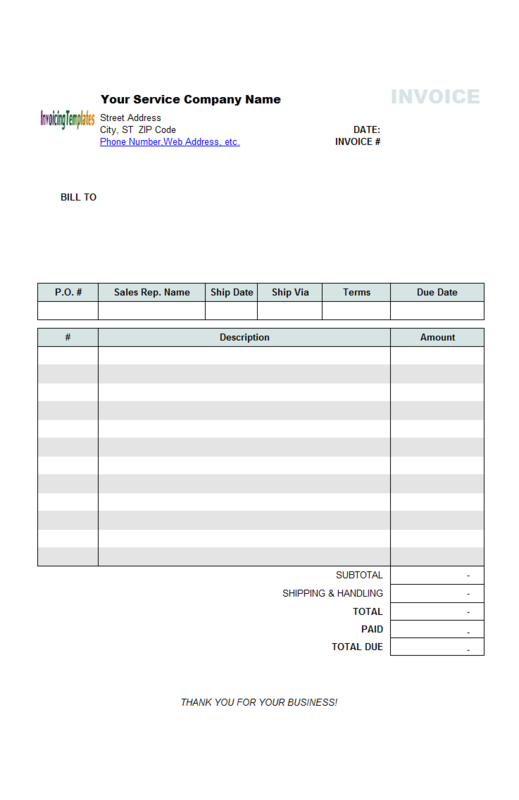 By using a drop-down list box instead of a manually editable text field, you can draft an invoice much easy than before. If you are interesting in the Invoice Manager for Excel (UIS) version of our templates, don't worry - adding the drop-down list to the Excel spreadsheet will not break UIS. UIS welcomes any customizations and designs you could make with Microsoft Excel, as long as you adhere to the guidance described in the "Creating and Customizing Invoice Template" document included in UIS. 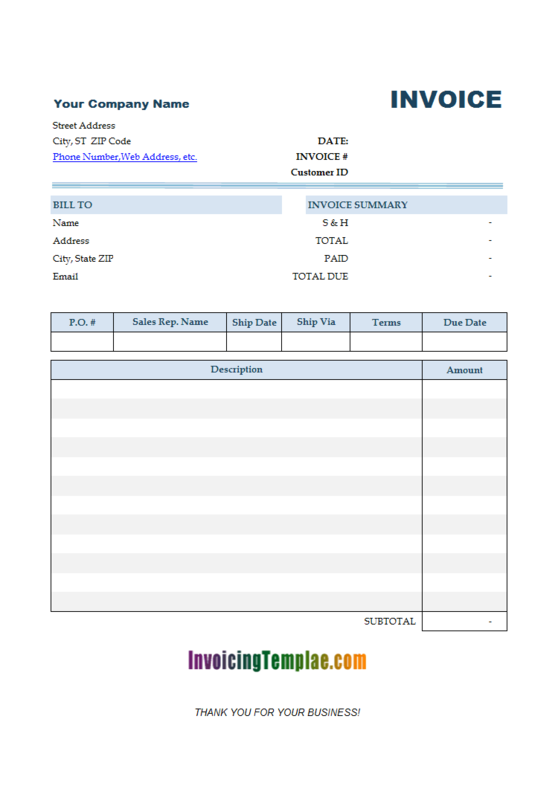 This customized format, like all the other templates available here on InvoicingTemplate.com, are just examples of how to customize the default sales invoicing sample shipped with UIS - a generic format that is suitable for many business types. 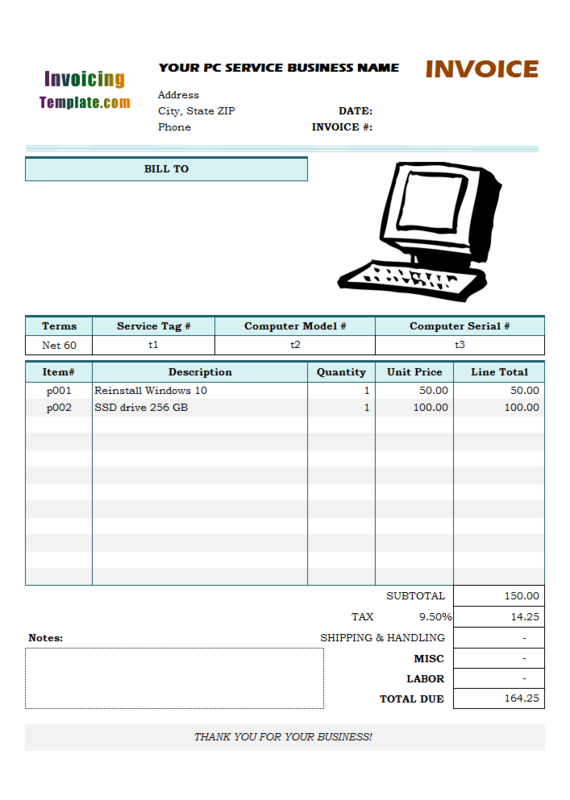 So to speak, InvoicingTemplate.com offers not only general invoice online, but also special formats that are suitable for different business types. Invoices are the important part in business and trading, so make sure your forms meet your business requirements. 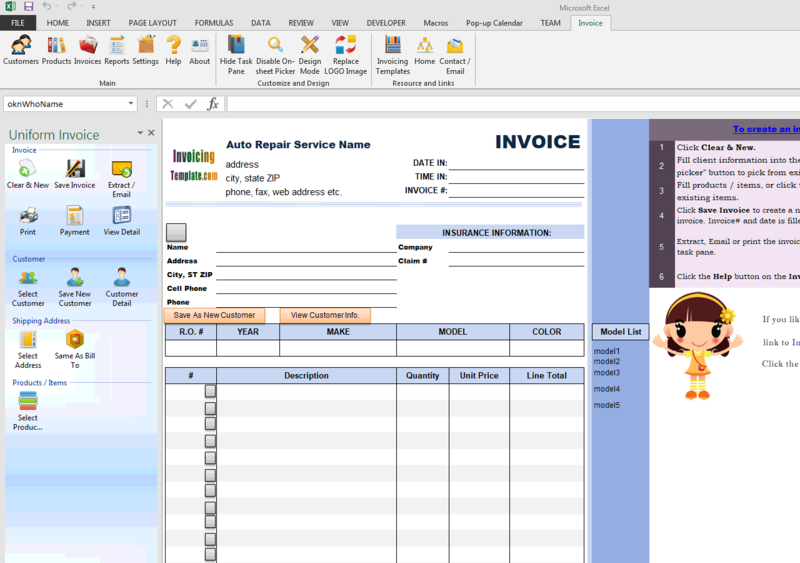 During the past several years, we've designed thousands customized designs and templates that meet requirements of different business and work with UIS - which is formerly named Excel Invoice Manager and hosted on Office-Kit.com. Both Office-Kit.com and InvoicingTemplate.com are web sites built and running by Uniform Software Ltd. We'll put the templates online here on InvoicingTemplate.com. Each customized template comes with two editions - one free edition that works without UIS, and another enhanced edition that should run with UIS installed. 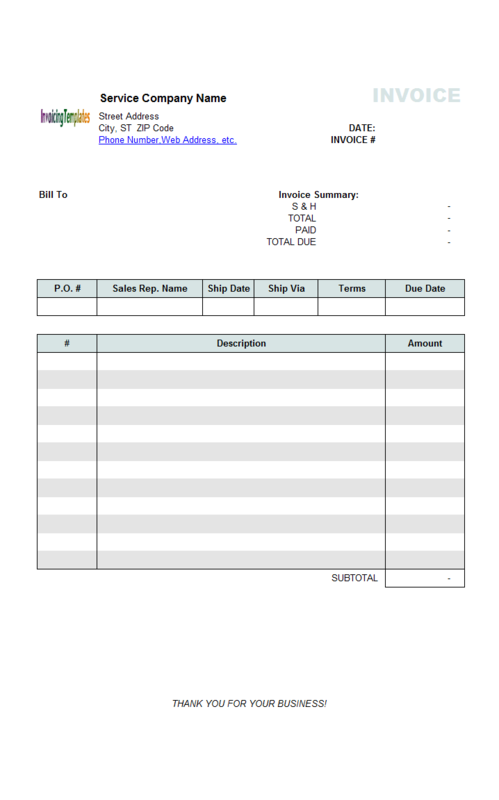 If you are running a small business that creates invoices rarely, a free invoicing template helps you draft your invoices and cash receipts in an easy and quick way and the documents created by the templates look professional. If you need more control over your business, such as managing customers, products, invoices and payments, UIS is your choice. 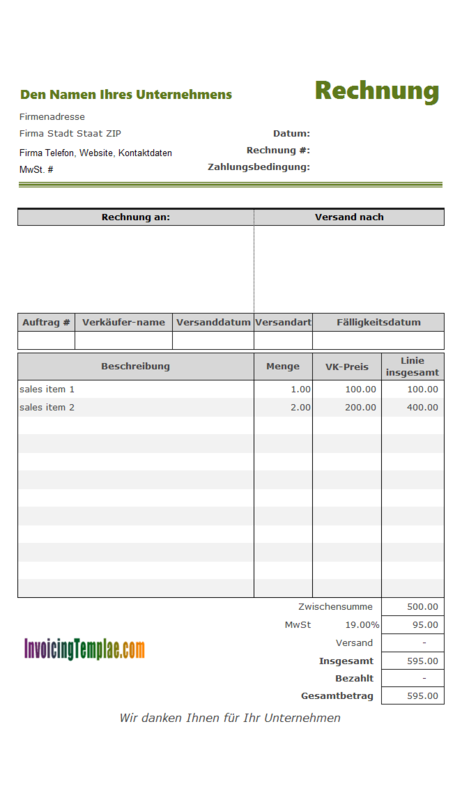 InvoicingTemplate.com is providing you with the fully functional trial version. Feel free to download and try the trial version - no license key or registration code is required to run the trial version within the trial period. You or your company need to purchase nothing in order to trial our invoicing software. All templates offered here on InvoicingTemplate.com are not protected and are not locked. You don't need a password or special key in order to modify it. For example, if you use the UIS version, you can even create a credit memo template or credit note template based on the sample templates provided here. 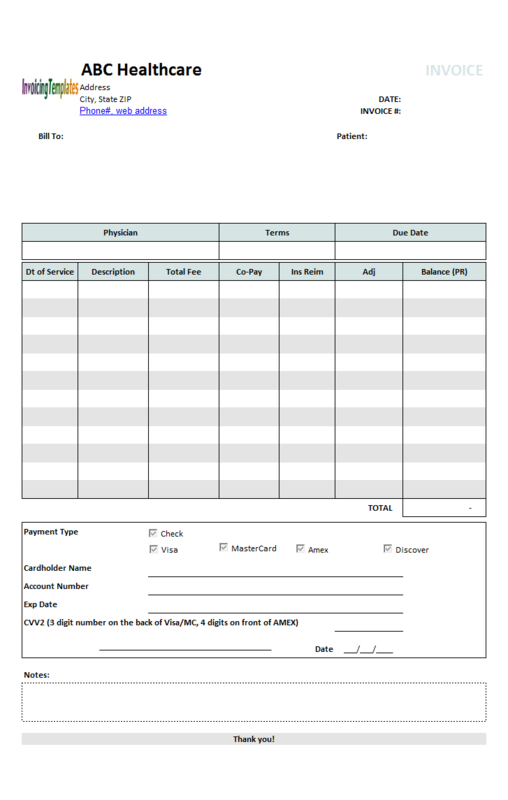 Remember that professional and beautiful business documents, such as the ones created by this printable form design, do help you collect your money easy and quick. 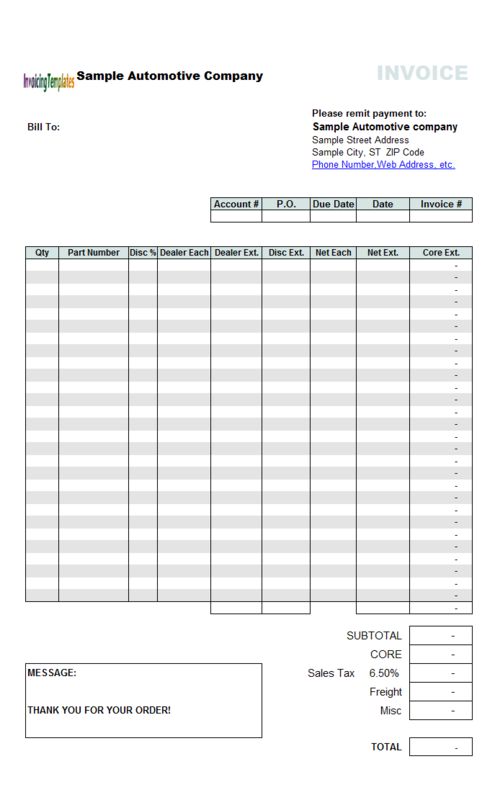 So how do we at InvoicingTemplate.com design this customized auto repair billing form based on the previous layout? It is in fact easy if you know Excel a little. 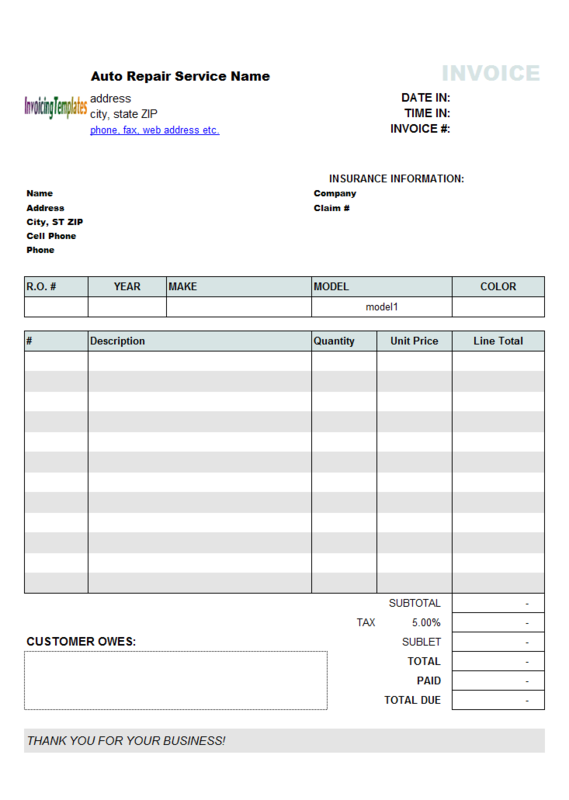 Our procedures are as follows: unprotect the Invoice worksheet in the Excel spreadsheet and switch to design mode; select the area where you want to put your car / vehicle model list - in this sample, we choose to place the model list to the right side the printable area, starting from Q16, so that you can easily add new entries to it whenever needed. Once the car models are setup, you can then easily go to the Data ribbon tab, execute the Data Validation command to create the drop-down list. 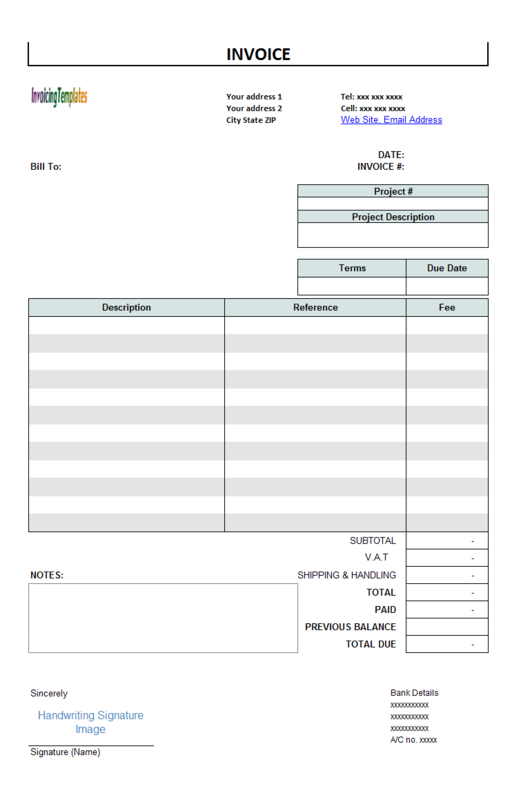 How to I unprotect Invoice worksheet? How do I start / exist design mode? How do I display / hide gridlines and row / column headings? To UIS version users: The form is protected to prevent accident modifications to layout and formulas. If you unprotect the sheet and try to close it, UIS prompts a warning message about the protection status of the template. If you want to be able to change the list when creating invoices, you should unlock the range starting from Q16. Once everything is prepared, it is the time to use the Data Validation to create the drop-down list. So with some simple clicks and entries, we have added a drop-down list to this template. There are many more things you can do with Excel. 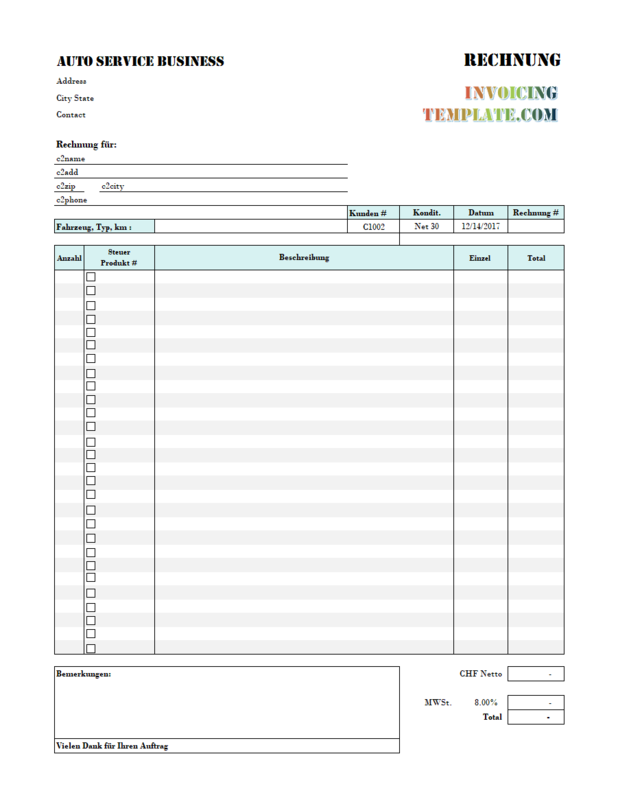 Feel free to play with it and use our invoicing templates as samples of creating your very own invoicing and billing templates. 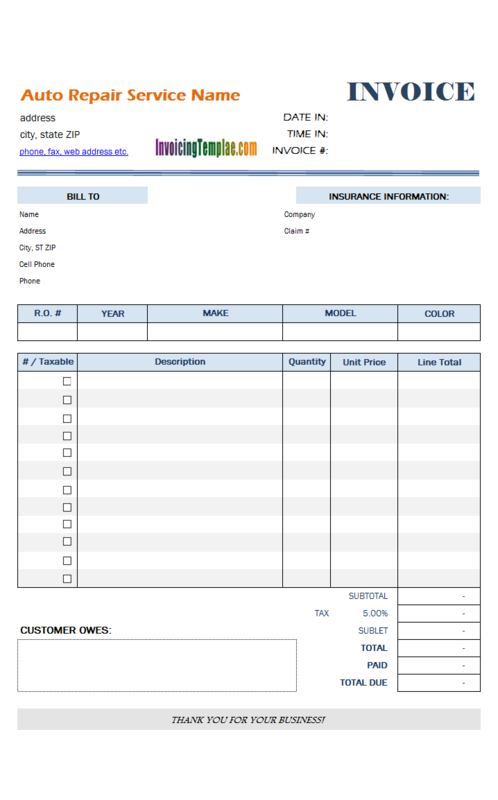 Like other form designs here on InvoicingTemplate.com, Blank Vehicle Repair Invoice (2) is free (offered to you at a price of 0.00USD). It works on Windows XP and all newer versions of Windows, and Excel 2007, 2010, 2013, 2016 or 2019. All the report worksheets were replaced with the ones shipped with Invoice Manager v7.12. Applied MS Office themed colors. Replaced ActiveX objects with corresponding Office form controls. Added borders to the fields in the "Bill To" and "INSURANCE INFORMATION" sections.